Tampa Bay will play against Kansas City this Sunday November 20th at 1:00 pm ET at Arrow Head Stadium, the game will be transmitted by FOX. I’m sure nobody who is not a die-hard fan of the Chiefs will feel terribly excited about this game, let’s face it, neither of these teams are thrilling to watch, the Kansas City Chiefs are not known to light up the scoreboard every weekend, and yet they are the current leaders in the AFC West after they overtook the Oakland Raiders who were on a bye last week. Although nobody knows how exactly it happened, the Chiefs have won 17 out of their last 19 outings, so maybe it’s time to stop judging and questioning how this happened, and simply start appreciating that they have an excellent track record spanning two seasons. The beginning of the season seemed to be a hit and miss for the Chiefs, they lost in week 2 against the Texans, and again in week 4 against the Steelers. But since then, that have won 5 consecutive games, and are looking to win another one this week at home against the Tampa Bay Buccaneers. Kansas City is ranked 7th in the league in scoring defense with 18.7 points against per game, and have outscored every single opponent to the tune of 122-76 in their last 5 games after their devastating loss to Pittsburgh. I feel compelled to mention that they outscore their opponents far more when on the road than when they are playing at home, this is something to consider if you are interested in betting the total in this game. The Buccaneers have been on a roller coaster this season; they started 1-3 and then won 2 back to back contests, before losing another 2, last week they had a much-needed win against the ailing Chicago Bears, putting them in second place tie in the NFC South with the Saints. While Tampa Bay’s quarterback Jameis Winston, has had some impressive moments while under center, he has also given his critics a lot to talk about, at times displaying some serious lack of judgement, which goes hand in hand with the up and down cycle of the team this season. Point in case, he has thrown 10 interceptions so far this season, last year he had 15. The game on Sunday against the Chiefs will prove to be a tough challenge for the young quarterback, as the Chiefs are the best in the league at forcing turnovers. The Chiefs offense is methodical and efficient, they may not wow anybody but they get the job done more often than not, and they will likely wear down the Buccaneers defense. This means that for the Buccaneers to win this game they will need to develop their ground game, decreasing the need for Winston to throw long passes and hence diminishing the probabilities of him throwing an interception. 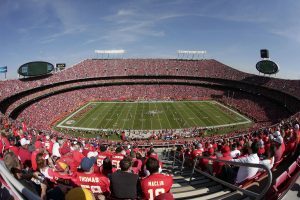 The opening pro football line at AceSportsbook.com has the Chiefs laying 7.5 with a total of 44.5. This should turn out to be another win for the Chiefs. My preferred wager would be a 6-point teaser Chiefs and under.